It is clear that people’s appetites for all things Star Wars related will be at an all-time high this Christmas, as Star Wars: The Force Awakens will hit the screens in December. 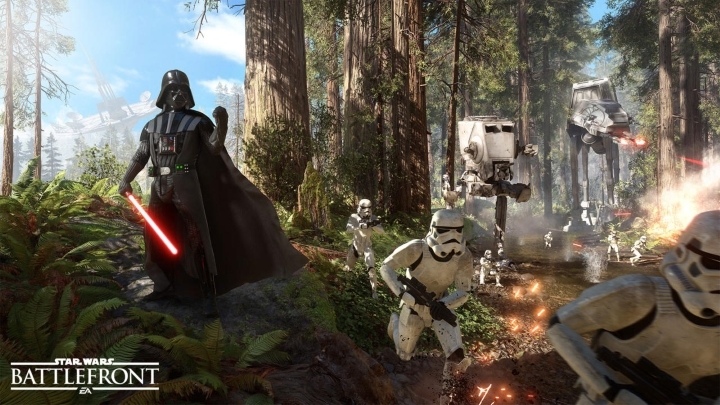 So it makes sense that Star Wars: Battlefront by developer DICE is one of the most eagerly awaited games of the Holiday season, as this multiplayer game lets players engage in multiplayer matches against other gamers, taking the role of either an imperial or rebel soldier. But what will likely be more exciting for Star Wars fans is that it is also possible to play as iconic characters like the bounty hunter Boba Fett and even the Dark Lord of the Sith himself, Darth Vader. The game features a variety of multiplayer modes, including the original “Hero Hunt”, in which the Hero character has to survive for as long as possible, while being hunted by 7 other players (he who kills the hero takes his place). And while the lack of a single player campaign in Star Wars: Battlefront is disappointing, let’s hope DICE’s game delivers plenty of exciting multiplayer action when it is released this fall.